Our PTA brings together parents and teachers who strive towards better education, communication, and community involvement. Just being a member helps you and your child feel more at home at Shepard. We welcome grandparents, parents, teachers, and other community members who wish to come together for our children, families, schools and communities. Be sure you have updated your preferences or you will not be able to see the school supply list purchase options under your "FORMS" tab. Shepard Auction Item Pickup is April 11th from 5-7pm in the school Lobby! Application due May 3rd, 2019 by 12 noon to Shepard Front Office. How Better to Receive the Information You Never Want to Miss? 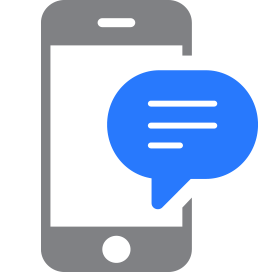 New this year you can receive updates via text. Please update your child's information from last year. Log into your account and update this information or remove your student from the directory if they have moved on to middle school. The directory is only available to PTA members, so join today! Tom Thumb will pay 1% of our members' total grocery purchases to Shepard Elementary. The amount of the check depends on the amount of our supporters' total purchases. At smile.amazon.com, you'll find the exact same low prices as Amazon.com, with the added bonus that Amazon will donate a portion of the purchase price to Shepard Elementary. Benefits available for PTA Members! 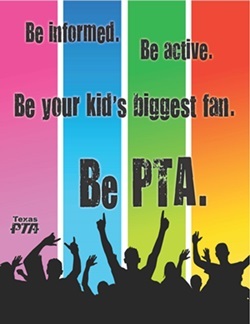 Being part of PTA connects families and schools. PTA provides the opportunity to serve, to volunteer and to contribute to the welfare of all children, because children represent our future. PTA will give you the opportunity, not only to impact your local community, but to have input in major legislative and policy issues affecting children throughout the state. Membership gives you a voice. Exercise your right to vote. Get involved. Click here for benefits available through Texas PTA. Click here for benefits available through National PTA.